When your uncle is called Inzamam-ul-Haq, you know you will have some giant-sized shoes to fill, no matter how good you are as a cricketer. 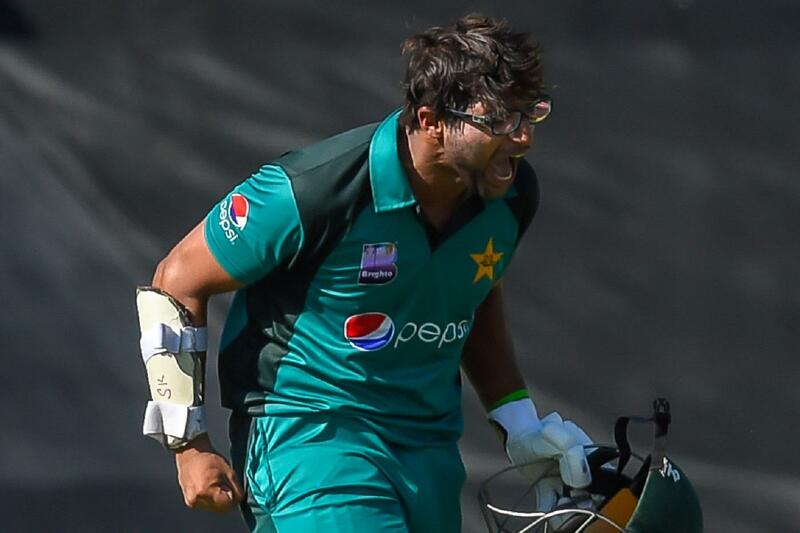 The mere fact that Imam-ul-Haq wanted to play professional cricket tells you a lot about his grit, determination and self-belief. Despite being the complete opposite of Inzamam, a left-handed opening batsman who wears spectacles, Imam would have known when he entered the fray as an international cricketer that the comparisons with Inzamam will begin immediately. What also made things complicated and more difficult for the 23-year-old Lahore-born southpaw was that his uncle Inzamam is also the chief selector — an important and influential post in the corridors of Pakistan Cricket Board. It is clearly an uncomfortable and at times awkward situation for the Pakistan batting legend Inzamam. But to his immense credit, he has right from the outset conveyed a message of support for Imam, but at the same time has allowed his nephew to be his own man. Inzamam has criticised Imam when he has felt the need to, but at the same time has provided support and backing for his nephew in the face of adversity and criticism. Inzamam has as much as possible left Imam to his own devices and allowed the youngster to learn from his own mistakes. Inzamam has also regularly stated that selection for Pakistan side under his tenure as chief selector is only based on merit and performance, rather than nepotism and Imam will be judged like all others, solely on his performances and runs on the field. When facing hostility and a barrage of questions from the media, Inzamam responded with statements clearly stating that Imam receives no favouritism and leniency in selection matters and will be dropped if he does not perform to the required standards. In an attempt to get the critics off his back and for the haters to leave him alone, Imam had stated in frustration that it is not his fault that he is the nephew of a cricketing giant and that he just wants to be Imam-ul-Haq and not Inzamam-ul-Haq. At the same time, Imam also conceded that there is a lot more pressure on him due to him being a relative of Inzamam, that a lot more is expected from him and that he will continue to be an easy target for those who feel he has been selected due to favouritism. Despite the heavy criticism and scrutiny, Imam has made a promising start in international cricket. During the third ODI against South Africa on Friday, he became the second quickest batsman, in terms of innings, to score 1000 runs in ODIs, reaching that milestone in only 19 innings. His record in the 50-over format would impress one and all, with an average of 63.18 he already has 5 hundreds and 4 fifties to his name. However, Test cricket has proved to be a much tougher proposition for Imam, wherein he has managed only 483 runs in 19 innings at a paltry average of 28.41. Technical flaws against the short ball have been evident in Tests particularly after he was hit on the grill against New Zealand off the bowling of pacer Lockie Ferguson last November. The knives are being sharpened by his critics and calls for dropping him from the Test team have gained momentum once again after a poor show for Imam and Pakistan in the three-match series against South Africa recently. judgement on his international future. It's a thankless task and a tough job being a Pakistan cricketer and it's even tougher when you are Imam. He would have known that he would face a lot of heat after he puts on the Pakistan jersey, but even he would surprised at the levels of criticism and hate. Imam has in the past stated that his family are very close-knit and support him through the dark times and it seems that he will need that support throughout his career. Some of the critics will never get off Imam's back and displays of emotion by Imam such as putting his fingers to his lips in an attempt to tell his critics to keep quiet after scoring a century in the 3rd ODI against South Africa in Centurion will only add more fuel to the fire. Whilst antics against critics may give some pleasure to Imam, he will be best served by concentrating on his batting rather than getting into a battle against fans and media who feel he shouldn't be in the Pakistan team. The best piece of advice for Imam would be to look at his uncle's record and try to get as close to that as possible as runs and performances are the best way to silence the critics. He may not be the most exciting batsman to have played cricket, but the truth is that he gets the job done and has the temperament to grind it out in face of tough odds, demonstrated in ample abundance during the ongoing tour of South Africa. Ultimately, his success will only be judged by the number of runs scored and going by what he has shown with his recent performances for Pakistan, there is a bright future ahead of him and that fact bodes well for Pakistan cricket.